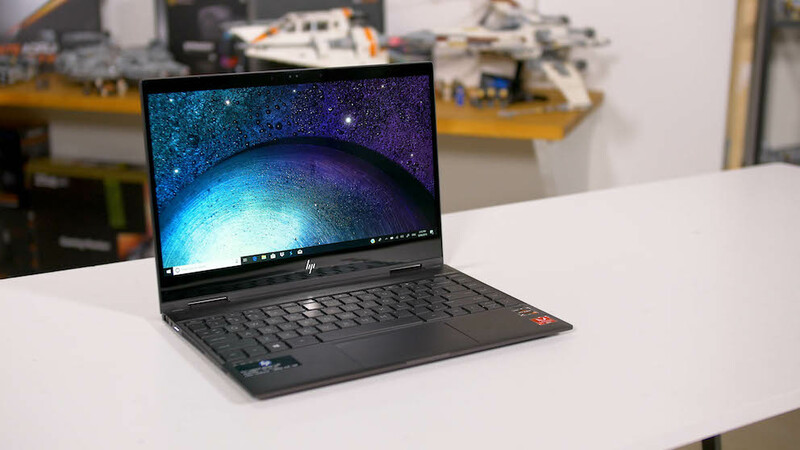 PAT PILCHER settles in for the long-haul as he checks out HP’s Envy x360. When heading overseas, be it for work or play, I like to travel with a PC. Smartphones are great, but they’re awful if the urge to write a story takes hold, or if I need to engage in a spot of gaming. Proper keyboards and a large screen can make all the difference. The trouble is, there are notebooks, and there are travel notebooks. Many do not make ideal travel companions. 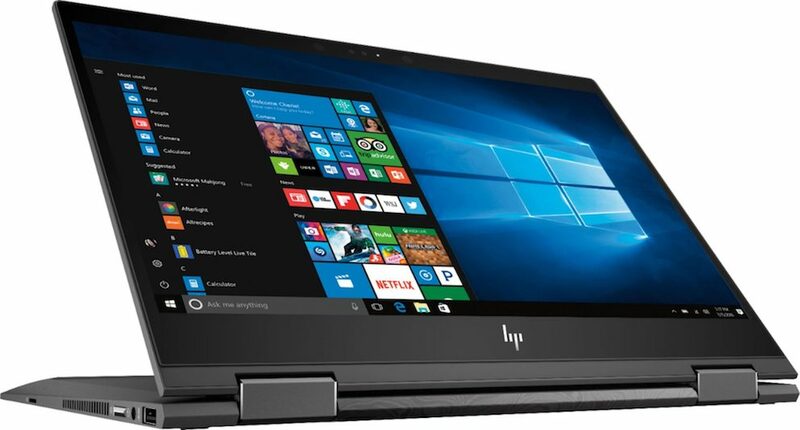 HP’s Envy x360 however, is an exception. It did a perfect job, ticking nearly all the right boxes as it travelled with me to Hong Kong recently. So, what makes for a decent notebook PC travel companion? For a start, they need to be both thin and light. Being versatile, yet powerful is good, but equally importantly they need to be able to run for a respectable amount of time away from mains power. The Envy x360 is powered by an AMD CPU and sports a decidedly premium design (which also commands a premium sticker price). The review unit I tested came with an AMD Ryzen 7 2300U CPU and a Radeon RX Vega 3 GPU, 8GB of RAM and 512GB of SSD. It might look like a million bucks, but it can still take the odd knock and bump thanks to its aluminium body which feels robust. The sleek, minimalist design also gives it an air of sophistication. The review unit came in what HP calls Dark Ash Silver, which is a fancy-pants marketing name for almost black, but not quite. Either way, it’d be a notebook I’d happily pull out at a boardroom table or in a lecture theatre. It also comes in Natural Silver. Design and spec aside, the Envy x360’s small dimensions and weight made it perfect for travelling. Weighing in at just 1.3kg, it measures just 14.9mm deep when closed. This meant I could pop it into a laptop bag and travel without having to find a chiropractor or XXL sized luggage space on the plane. The other key design feature of the Envy that wasn’t apparent until I’d powered it up was the tiny bezels on both sides of its screen – they’re impressively thin, which made watching movies a real pleasure. Although the Envy is a slimline unit and is feather-light, it feels substantial. This is mostly thanks to its reinforced alloy chassis and Gorilla Glass screen. Most notebook PCs are an exercise in compromise. A slimline design often means limited expandability, yet despite its thin design, the Envy still features a plethora of ports. On its left-hand side are full-size USB and MicroSD slots plus a headphone socket. On its right is a USB-C port. For legacy USB gear like an external drive or printers full-sized USB ports are a welcome addition. 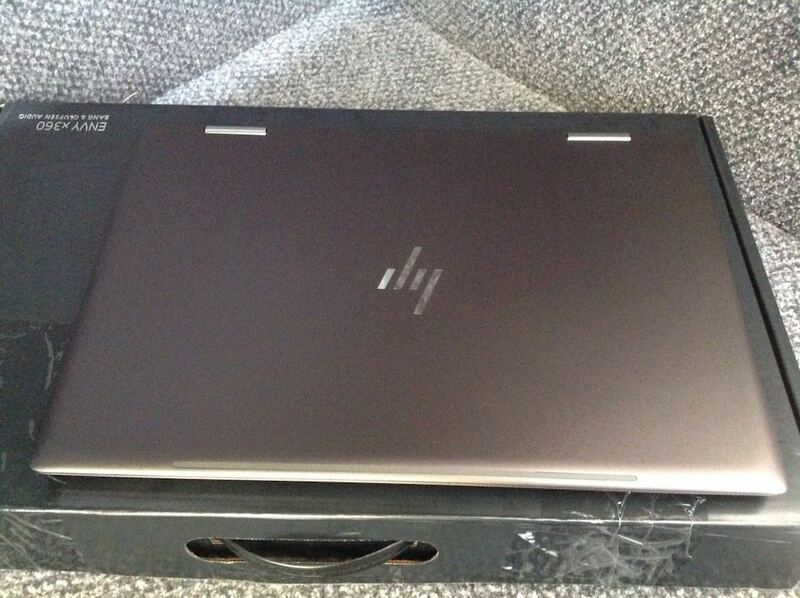 That said, I was surprised to see that the HP Envy’s USB C port didn’t act as its power port. 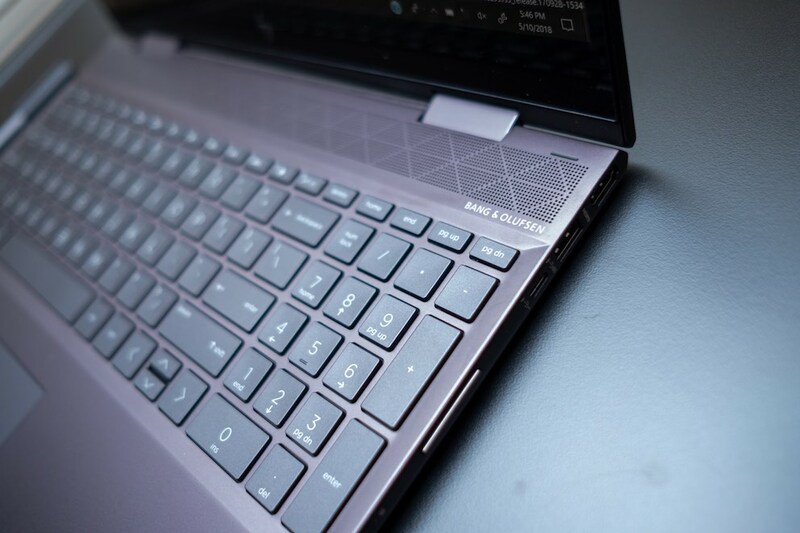 The Envy x360 comes with a handy party trick: As well as being able to be used as a traditional laptop, it can also be used to show off presentations/photos/movies in ‘tent mode’. This is where the keyboard gets inverted, and the Envy is configured into an upside down ‘V’. There’s also tablet mode where the screen flips right round over the Envy’s underside. For reading e-books, sketching or touching up photos, tablet mode worked a treat. For in-flight movies, the device was the business. Its full HD IPS LCD screen offered up 178-degree viewing angles and crisp, vivid movies. As mentioned earlier, its near invisible bezels also made for distraction-free viewing too. When configured into tablet mode the screen orientation and layout is optimised by Windows 10. The touchscreen proved pretty accurate, and I was also pleased to note that the keyboard powered down which avoided accidentally typed input. While I used the Envy in flight with headphones, at the hotel, its quad speaker configuration (which HP are keen to point out is tuned by Bang & Olufsen), sounded pretty good. While there isn’t oodles of bass, audio still felt like a distinct improvement on the thin, shrill sound delivered by most other laptops. About the only real negative I found was its keyboard. While its keys are a good size, there’s not a lot of travel, which had me checking my typing continually. It wasn’t a biggie but was a distraction. That said, its touchpad is both responsive and accurate. In use, the Envy x360 performed flawlessly for office productivity chores and media playback. About the only area, I noticed any issues with was with gaming. Tweaking in-game graphics settings however remedied this. In short, for most tasks I needed it for, the Envy’s real-world performance was excellent. Similarly, its battery life was reasonable too. While in-seat power is increasingly commonplace on airlines, the Envy x360 managed to deliver just under five hours and 40 minutes of movies in flight. That’s not half bad, and even better still, it’ll go from empty to fully charged in just over an hour. 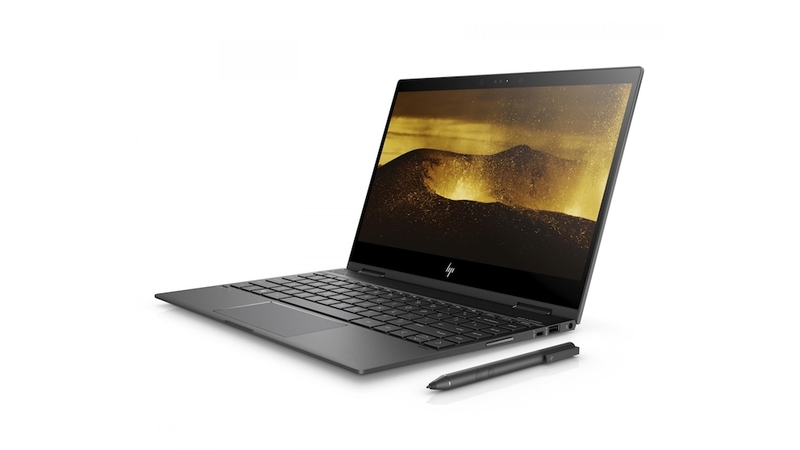 All told, HP’s Envy x360 looks fantastic, feels solid and is thin and light enough to comfortably carry on a long-haul trip. Its 2-in-1 tablet-laptop chops also make it pretty handy, and it also offers excellent expandability for its petite and slimline design. 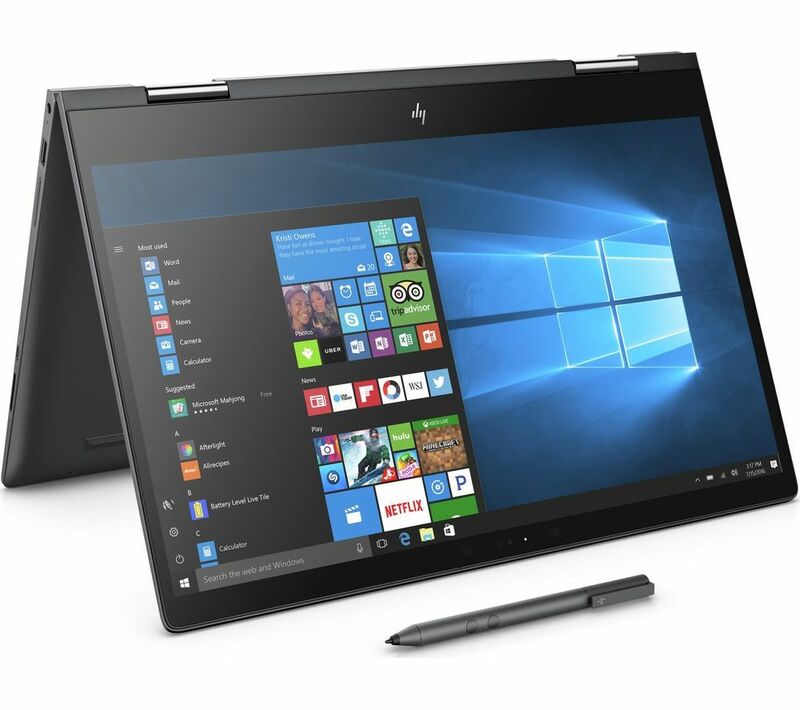 If you’re looking for a portable yet powerful notebook PC, the HP Envy x360 is a solid choice.